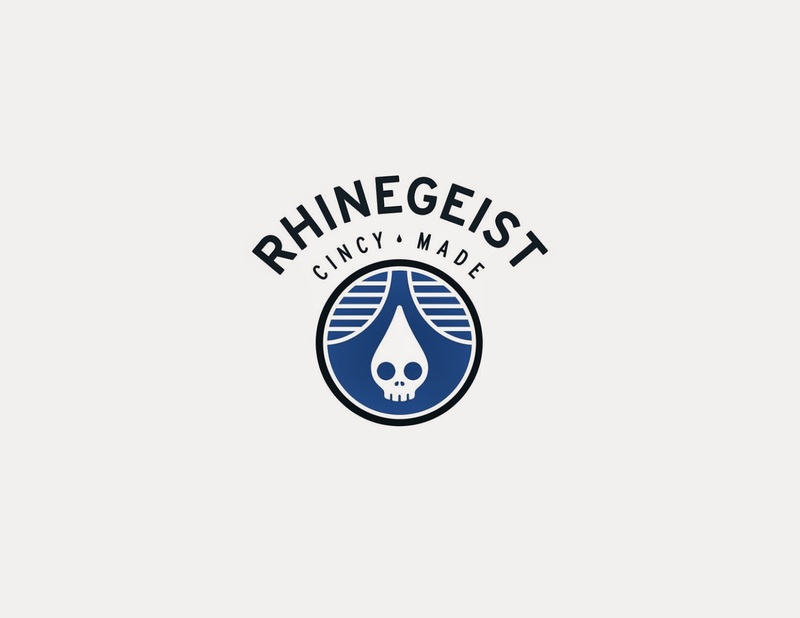 Recently, I had the opportunity to speak with one of the owners of the Rhinegeist Brewery here in Cincinnati, Bob Bonder. The purpose of the conversation was to discuss some of the highlights of the brewery an to introduce the "Give Me Five" segment of my blog and website. Five questions that allow us to learn a little bit more about the brewery. It is just that simple and easy, but how did it go. Read for yourself here and let me know your thoughts. Question #1 - What makes the brewery unique? Answer: "The right combination of great liquid, clean branding, a unique historic location, and an incredible team of hard-working, creative badasses in every part of the business - from brewing, cellaring, packaging, and distribution to the tap room, accounting, sales, and marketing!" Question #2 - How did you come about starting the brewery? Answer: "I’m a huge fan of craft beverages and entrepreneurial culture. My business partner, Bryant, and I both come from a consulting background and jumped ship to pursue our passions. I started a coffee roasting business, while Bryant took on beer and ran the west coast sales for Dogfish Head. Six years later, when I started to ponder the idea of opening a craft brewery in Cincinnati, I reached out to Bryant. He made a trip out to Cincy and once we stepped foot into our historic facility at 1910 Elm St, we both immediately knew that we had to pursue this dream." Question #3 - How many beer offerings does the brewery provide? Answer: "We’ll brew upwards of 35 different styles this year. We have 3 core beers in cans year-round (Truth, Cougar, Zen), along with other various seasonal cans (Franz, Panther, Hustle, Dad, Fiction, Puma, Pure Fury), some specialties in 22oz bomber bottles, and a wide range of experimental beers that are only available on draft." Question #4 - Where do you envision the brewery heading in the future? Answer: "To the roof! Literally. We’re in the middle of building a 7,000sqft roof deck that will hold 200+ people. We also just finished building a new 60bbl brewhouse which will allow us to expand distribution to Columbus and Louisville. In addition, we are building out a private event space for weddings, etc. " Question #5 - When did the brewery become established? Answer: "We opened in June of 2013." And what an impact Rhinegeist has already made to Cincinnati and the beer scene. If you have not tried them yet, then let me recommend that you should. Take a visit to the brewery in OTR and I am sure that you will find something that you like on tap! Thank you to Bob Bonderman for your time and to Katie Alsip for providing the logo and sneak peek at the upcoming deck. It will be nice to sit up top and enjoy a beer overlooking the city.